It was 1962 that Motown's Artist and Repertoire Director William "Mickey" Stevenson first heard the voice that would become synonymous with "the sound of young America." A young jazz/blues singer with the unlikely name of "Martha Lavaille" was bringing audiences to their feet at Detroit's famed 20 Grand Nightclub singing songs made popular by singers the likes of Gloria Lynne and Della Reese. He invited her to audition at the new Motown Records headquarters, "Hitsville, USA." Though the audition never happened, within a year, Martha had taken the reigns of the company's A&R department, ingratiating herself. She saw that musicians showed up on time and got paid. She watched, learned, and whenever opportunity presented itself, she sang. And when she did, everyone took notice. When Mary Wells couldn't make a session, Martha was called to the mic. With her group, the Del Phi's, she recorded "I'll Have to Let Him Go," and Martha and the Vandellas was born. The song was rather forgettable, but Reeves' sound wasn't. While waiting for her first hit, Martha (along with Rosalind Ashford and Annette Beard) backed Marvin Gaye on his first three releases and sang with him on stage. Soon, however, they emerged from the shadows with "Come and Get These Memories," followed by an enviable string of hits:"Heat Wave," "Quicksand," "In My Lonely Room," "Nowhere to Run," "My Baby Loves Me,", "Love Makes Me Do Foolish Things," "I'm Ready For Love," "Jimmy Mack," and, of course, the Motown anthem, "Dancing In The Street." After leaving Motown in 1972, Martha continued to expand her musical horizons, establishing herself as a singer-songwriter with few limitations. She sang rock, jazz, country, gospel, blues and classical. Her singing companions included everyone from the Godfather James Brown and the Boss Bruce Springsteen to opera diva Beverly Sills and gospel king Rance Allen. She headlined a national touring company of the musical "Ain't Misbehaving," and for three years toured the UK in the musical review"Dancing In The Street." 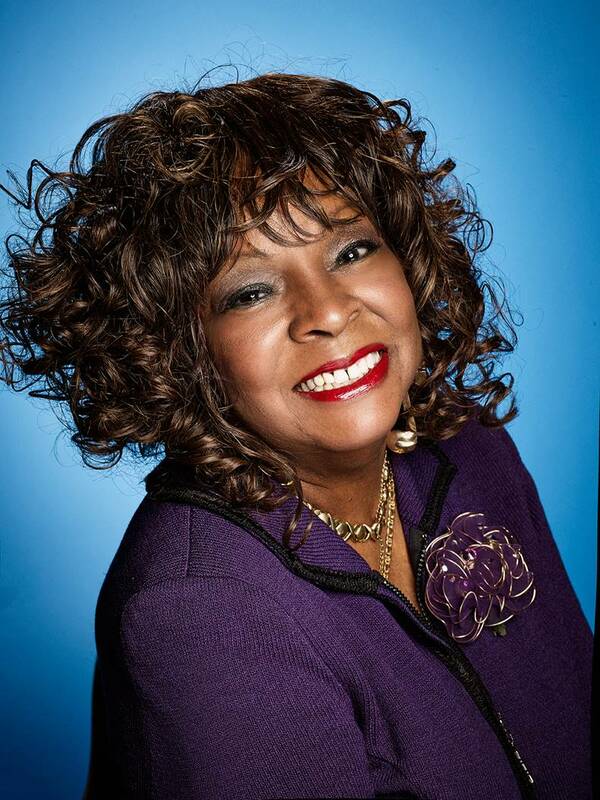 Martha Reeves continues to thrill audiences around the world. Her self-produced 2004 CD, "Home to You" was named one of the year's best by the Asbury Park Press. In 2005, Will Smith mined the Motown vaults to uncover her unreleased gem, "It's Easy to Fall In Love," and included it in the hit movie "Hitch." Also in 2005, Motown released Martha's "Lost and Found" collection, which included the rare Smokey Robinson-penned "Spellbound," her studio recording of "For Once In My Life," and covers of hits by the likes of Aretha Franklin, the Marvelettes, Vikki Carr, Sam & Dave, and the Four Tops. She was also featured in the PBS special, "Motown: The Early Years," writing liner notes for the four-set CD package. A "Gold" collection was released in March 2006 and "The Definitive Collection" in 2009. (Her 1968 "Live at the Copa" remains in the vaults, but we hope for a release in the not-too-distant future. Martha Reeves and the Vandellas (sisters Lois and Delphine) bring class, sass, and unparalleled Motown style to any event.